Poplar Healthcare » Har P. Rai, M.D. 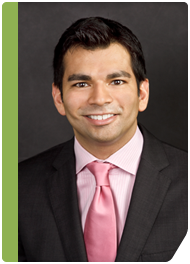 Dr. Rai is board certified in anatomic and clinical pathology. Dr. Rai joined GI Pathology after his military commitment and a fellowship in Oncologic Pathology. He completed his training in anatomic and clinical pathology at the University of Tennessee in 2004. During 2003, he trained at the Armed Forces Institute of Pathology, completing a rotation in gastrointestinal and hepatic pathology under the direction of Drs. Leslie Sobin and Zachary Goodman. He then served in the United States Air Force as both an anatomic pathologist as well as a blood bank/hematology director at both Keesler Air Force Base in Biloxi, Mississippi and Nellis Air Force Base in Las Vegas, Nevada. After completing his military duty, he completed a fellowship in Oncologic Pathology at Roswell Park Cancer Institute in Buffalo, NY. He then pursued a gastrointestinal pathology fellowship at GI Pathology. Dr. Rai is a member of the United States and Canadian Academy of Pathology, the College of American Pathologists and the American Society for Clinical Pathology.